5.Achievement – the extent to which people feel they are achieving progress or results. 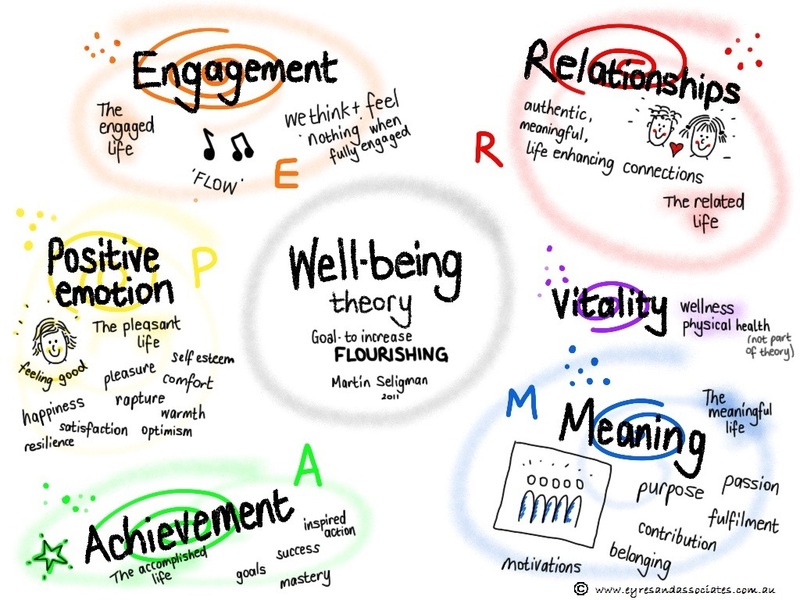 If all these elements are in abundance for individuals, then they are likely to have a sense of wellbeing and said to be ‘flourishing’! We have added an extra element – vitality – around physical health. While this concept applies to a person’s ‘whole life’ it certainly has application to their work life. As a leader it is a useful lens through which to reflect upon the wellbeing of people you lead – the presence of these key drivers will likely be a predictor of work performance. The model could be applied both informally and formally. Informally it could provide a mental model when managing staff performance – helping to understand the barriers to performance. More formally it could be used as the basis for a pulse survey to get a handle on workplace climate or a framework for a facilitated workshop discussion about how to improve things around here.